Create value in your companies through real-time 3D visualization of your products. 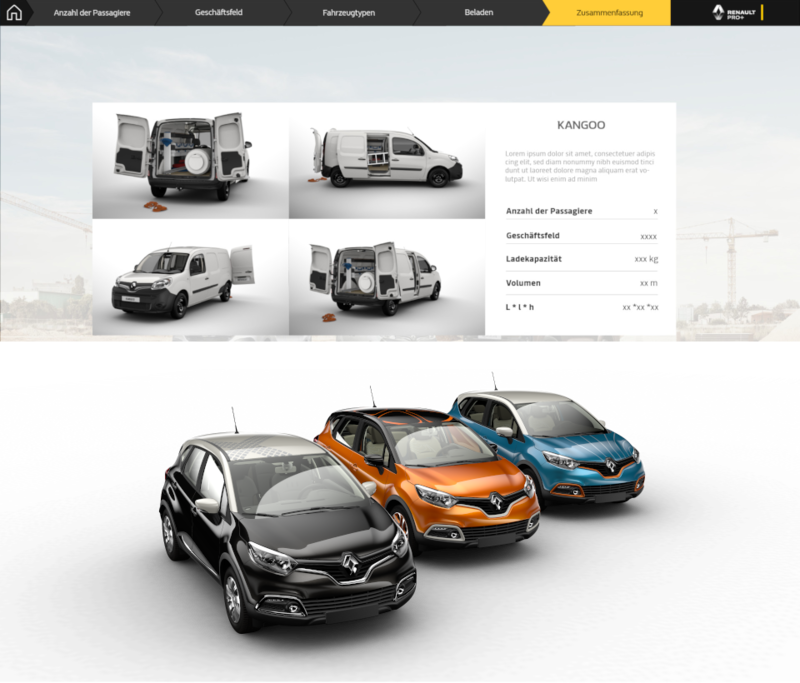 Lumiscaphe is indeed maximizing Renault visual design process to feed its sales tools and web configurators. From this partnership, a 3D configurator has been launched and it's now used on exhibitions. It offers an interactive and pleasant experience to users and enables getting the exact same configurations than on the web configurator. 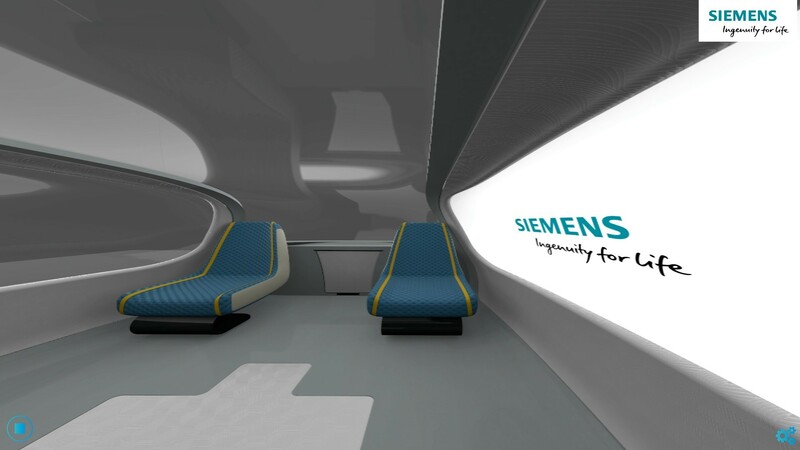 Siemens wanted to share its vision of the autonomous vehicle during the Goodwood Festival of Speed. 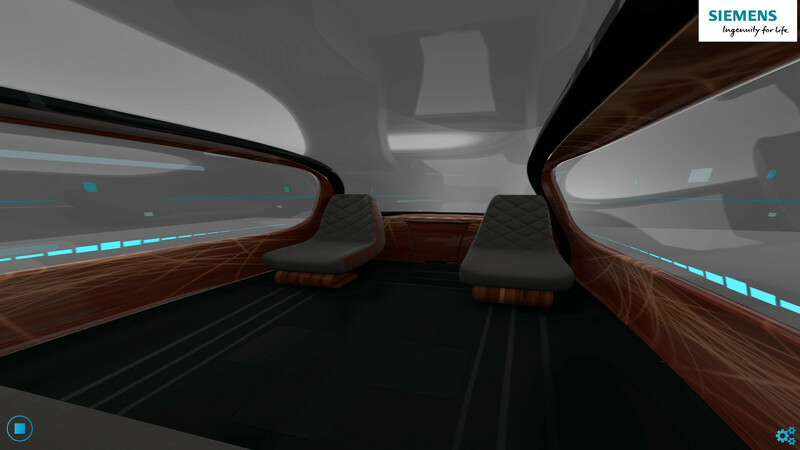 Lumiscaphe created a virtual reality experience, with a 4 headsets synchronization so the users could enjoy the same autonomous vehicle experience. They could watch a movie, play, or relax from London to Liverpool. To make sure everything went smoothly for Siemens, Lumiscaphe implemented the experience on the booth and stayed at Siemens side, supporting them during the event. 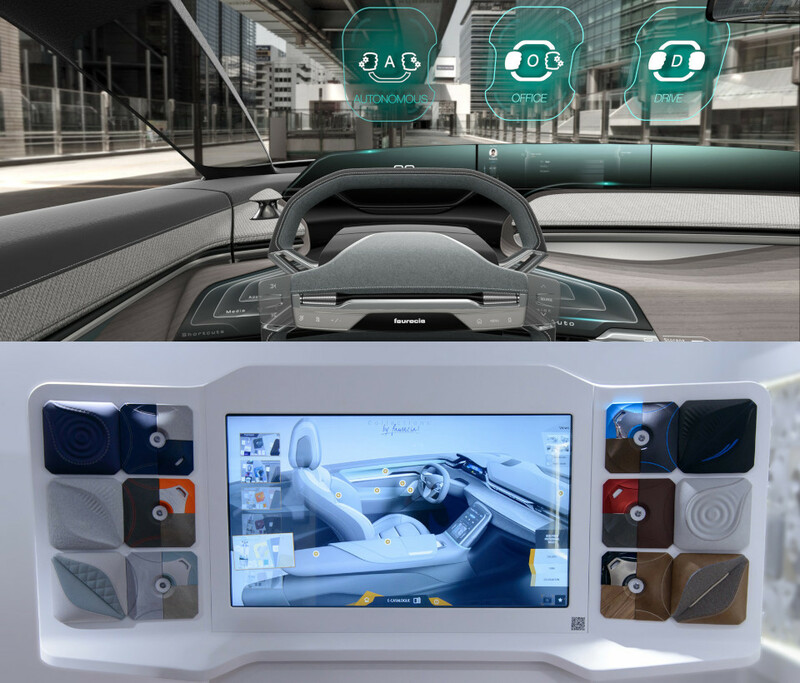 Faurecia uses Lumiscaphe software solutions for its 3D real-time rendering and to enhance the customers' products. Lumiscaphe creates tools allowing unique demonstrations during exhibitions: the creation of visual contents, the creation of an interactive kiosk presenting a trend configurator and Faurecia catalog, creation of a dedicated iPad app. 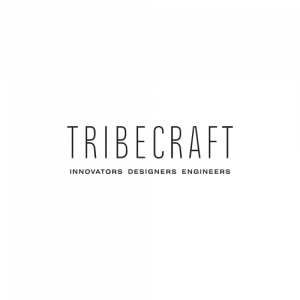 We provide services and adapt our solutions to create apps or features to fulfill customer needs. 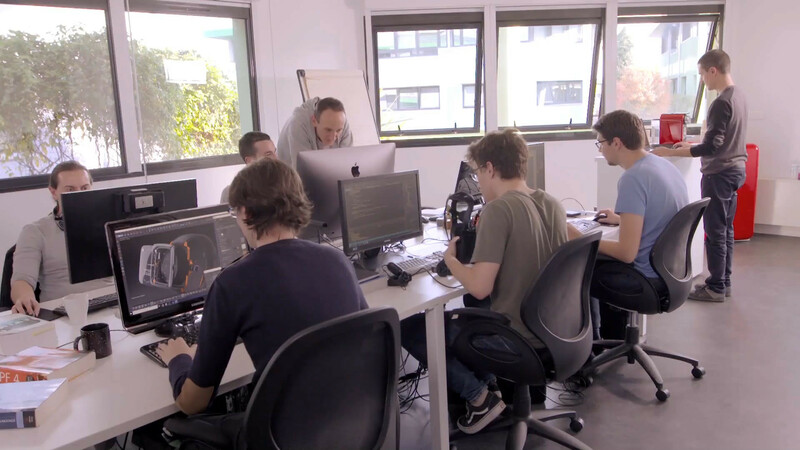 The customization of our software is built through a real follow-up and support of our customers, to ensure that features created are perfectly adapted to their expectations. We develop a software suite that enables the creation of the Digital Aspect Mockup™ which includes all product information to render 3D photorealistic models. The created DAM™ is a critical source of value for all the departments of the company. Design, Engineering, and Marketing can use it to review the project or as a communication content. Lumiscaphe will be present at Malaysia's Largest Autoshow thanks to its partner Feiran. We will be pleased to meet you at the booth 2B - Hall D, and present you our solutions. Very active on the Chinese automotive market, Lumiscaphe stands as a partner and participate in the event dedicated to this sector. Our team will be pleased to meet you and discuss the uses of Lumiscaphe technologies in all the departments of the automotive industry. The new 2019 version of our Software Suite is available! This new 2019 version offers new possibilities, with a user-friendly interface! Your models are even more realistic with Patchwork 3D new features. Project reviews are easier with Accel Vr (previously VSN). Share ideas and make your projects move forward with Lumis 3D. Our solutions are compatible with NVIDIA Mental Ray and Iray rendering motors. This technology improve the realism of your rendering. AxF of X-Rite is available with Lumiscaphe solutions. Improve the photorealistic rendering of your models by capturing unique materials appearance datas. Thanks to the Acis 3D integration, our software is able to import most of CAD files formats. Parasolid of Siemens PLM Software is integrated to our software solutions to enable the import of most CAD datas. The HDR Light Studio technology of Lightmap enables you to edit and create environments in a simple way in our software. Our solutions support HTC technology for an optimal VR experience. Our solutions support PNY graphic boards.